We've hit the official beginning of winter and sadly that means months of cold and snowy weather are ahead. 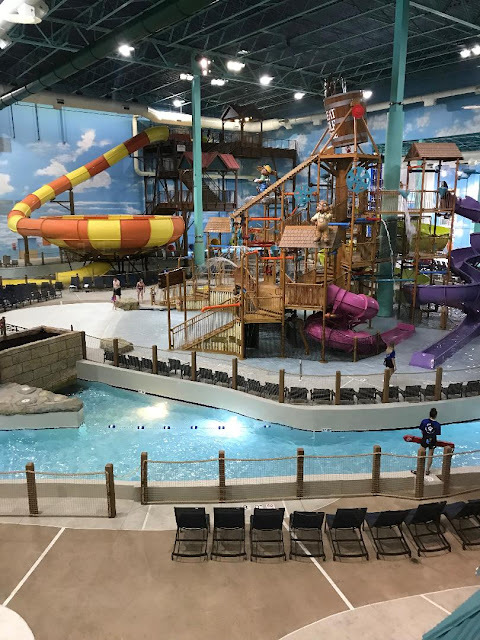 If you want to escape for a night or two from the Midwest winter without traveling to the Caribbean, you'll want to make plans for a visit to Great Wolf Lodge, which opened in July in Gurnee, Illinois. The Great Wolf Lodge has so many features and activities that there's something for everyone - no matter what age. I was there shortly after they opened with three teenagers and they had a blast. The attractions include mini-golf, bowling, gemstone mining, ropes course, Creation Station (where you make your own stuffed animal), arcade and more. The biggest hit with them was MagiQuest, which I enjoyed myself. Each player gets a special wand and it's like a virtual scavenger hunt where you have to stop at various portals for clues. 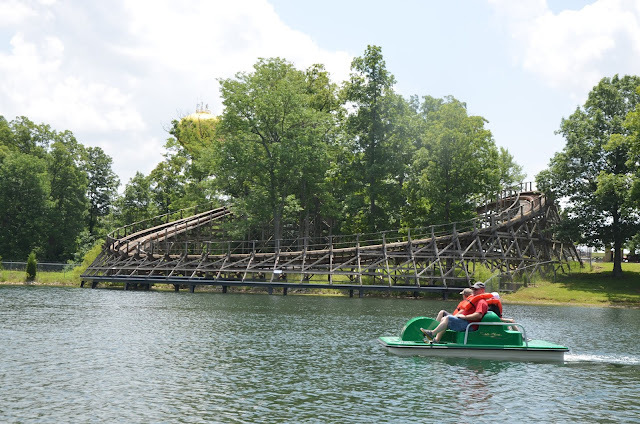 While we all have Santa on the brain during the holiday season, I wanted to share a little about one of my favorite little towns, Santa Claus, Indiana where we've spent time in the summer and fall seasons. It's the place where it's Christmas all year long and even in July you'll spot Mr. Claus. One place you may happen to see him is at Lake Rudolph Campground & RV Resort where he may be cruising around on a golf cart.